The promoters made Hawthorne’s name central to their sales pitch. 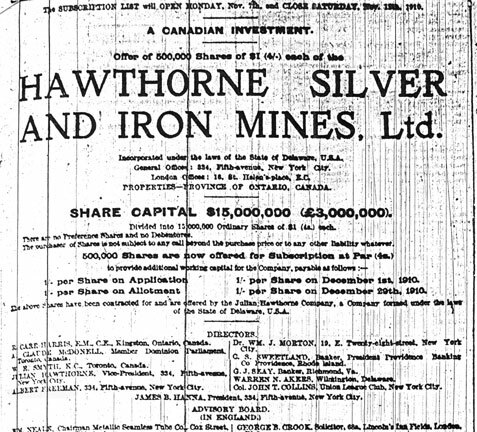 One of the worthless Canadian companies Hawthorne and his friends promoted was named after him. 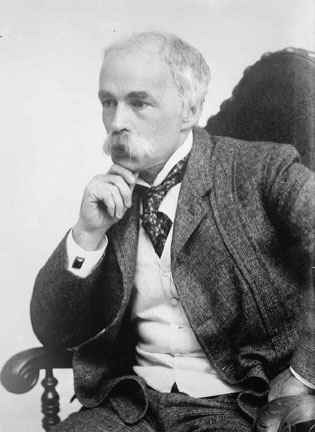 Julian Hawthorne was a novelist like his father Nathaniel Hawthorne. When his novels didn’t make enough money, he turned his talent for fiction to writing lies for Canadian mining-company publicity.